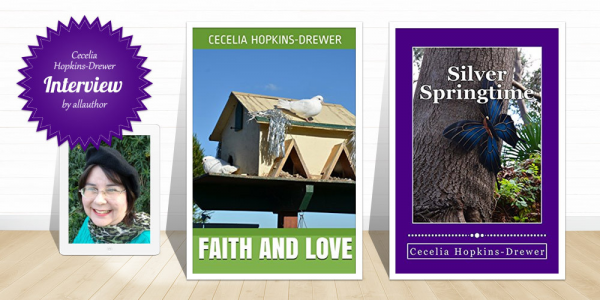 Cecelia Hopkins-Drewer is the pen name used by Australian poet, author and researcher, Cecelia Hopkins. 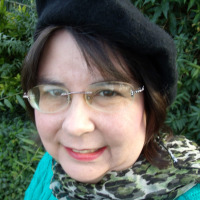 Cecelia was born in 1967 in Adelaide, South Australia. She grew up in the Barossa Valley, an area of South Australia predominantly settled by German immigrants. Even before she went to school, she remembers scribbling for hours on a piece of paper in imitation of her mother’s messy cursive. Early stories were about a magic car that could fly and dive! Cecelia also loved poetry and pumped out many juvenile ditties. Cecelia moved to NSW to study, completing a Bachelor of Education, Diploma of Information Management and Master of Arts. Cecelia’s thesis entitled: THE LITERARY MANIFESTO OF H.P. LOVECRAFT: A WRITER IN SEARCH OF A THEORY (1993-1994) was completed as a research project which replaced several subjects in her Master of Arts through the University of New South Wales. 1) MOSES - because he lived in ancient Egypt. So he can fill me in on some fascinating history. He also married the daughter of a priest and we hear nothing more about the special order from which this priest hails. I presume Moses would bring his wife and we might get some answers. He faced down Pharoah's priests in a magical duel. Most Christians want to close their ears to this - but I want to know - what physics or power lay behind the miracles performed by both sides? He also wrote the section of the Bible referred to as the Torah so he counts as a writer. 2) C.S. LEWIS - because he wrote such great fantasy readable by children and adults alike. He also performed research on the Petrarchan tradition of courtly love and wrote some interesting Christian philosophy. He shouldn't be too incompatible with Moses, but their meeting might highlight the ways tradition has changed the beliefs and messages down through the years. He was also a contemporary od Tolkien so I would get a bit of the best of both worlds here. 3) BARBARA CARTLAND - because she wrote so many stories, and they marketed so well. I also love a historical romance and none of her later heroine's would hurt a fly. Prominent social figure and step-grandmother to Princess Diana, what else could you want? Besides, then I would not be alone with the two crusty old gentlemen I have selected as picks one and two! 1) Christian Fiction chose me, because it reflects my upbringing - for better or worse. 2) Vampire Fiction slotted right in with my reading and viewing interests. 3) I have always written poetry, starting with childish ditties. 4) I write non-fiction Literary Criticism because I have been to university. So what would be new for me? 5) I am developing my vision as a Science Fiction writer at this very moment. 6) My D&D style Fantasy novel remains unedited - I will polish and publish that one day. That will perhaps represent a new genre and one very close to my heart. 7) I have a few Children's stories under development. Despite what you might think, this is a difficult genre. What would be very different? Well, I am going to give a progression of answers to this question. 1) Originally the problem was seeing a manuscript through to completion. It is no good having great 100 word intros to novels and no novel body! This remained my challenge until about the year 2000, which was a significant year in my writing. 2) Now that I can finish a whole book quite promptly, generating the initial idea remains the challenge. There are many ideas in the world, most of them have already been used. Some are great to read from other authors - but wouldn't give me the material I require to live my way through a full story with the characters. 3) Finally, after it is all written - promoting the story and getting it out there to readers remains a challenge. I expect it will remain a challenge for some time. I am combating this different ways. Advertising, group membership, contributing to websites, serials and anthologies.